Did a fatal security lapse contribute to the death of Alberto Sanchez-Delatorre? 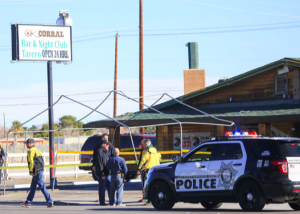 A shooting inside the Ok Corral Bar and Night Club in Las Vegas reportedly claimed the life of 24-year-old Alberto Sanchez-Delatorre and left a woman injured Saturday morning, January 21, 2017. According to The Las Vegas Review-Journal, Mr. Sanchez-Delatorre was shot “just after 7 a.m. at the OK Corral bar, 1602 N. Nellis Blvd., after a physical confrontation inside the bar with another man.” Police apparently told media they believe the gunman “may have left the bar and later returned with a handgun.” A second victim, a waitress inside the nightclub, was apparently transported to the hospital with a gunshot wound to the leg. Her current condition has not been released. Did negligent security contribute to the senseless death of Alberto Sanchez-Delatorre? We represent individuals and families who have suffered a tragic loss or injury as a consequence of negligent property security. 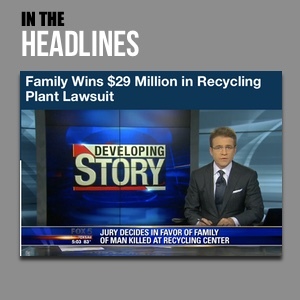 Read Our Legal Take to find out if the victim’s family may have a legal avenue for justice and claims for substantial compensation in Nevada, or call now for a free consultation with out legal team: 888.842.1616. Generally, property owners are required to protect all guests legally on the premises from any foreseeable harm. Should the facts of this matter reveal that the business or parking lot owners failed to provide adequate security to protect those on its premises, the victim’s family may seek justice and elect to pursue a legal claim for his wrongful death. Additionally, the second victim of this shooting may elect to pursue claims for her injuries. Based upon its prior successful experience in handling security negligence claims on behalf of victims and their families, The Murray Law Firm suggests that photographs and a thorough, unbiased inspection of the properties will need to be performed immediately, before any evidence may be repaired, damaged or destroyed. Given the complexities of pursuing a negligent security case, it is imperative that the victim’s family retain an experienced attorney who can ensure the preservation of any and all evidence that may support such a claim.